Do You Want to Serve! The City of Eastland is currently seeking persons interested in serving on city appointed boards that help make vital decisions for the city’s growth and future. As board vacancies arise, each Board will review their applications and submit a list of applicants to the City Commission for appointment. When multiple applications are received the remaining applications will go on file for future appointments. Each board has their own board member guidelines concerning who may serve. If you are interested in serving, please complete and return the application on the reverse side to Eastland City Hall. 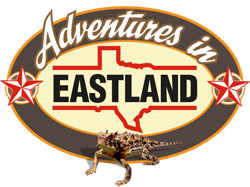 For an application Click Here or, stop by Eastland City Hall at 113 E Commerce St. For more information, contact Shirley Stuart, Bill Dolen or Terry Simmons at 254-629-8321.